The Jordanian Publishers Association (JPA) denounced the Israeli measure, describing it as another chain in Israel’s oppressive blockade imposed on the Palestinian people. JPA said that Jordanian and Arab publishers have been denied access into the 11th Palestine Book Fair although their books have been already shipped through border crossings to the occupied Palestinian territories. 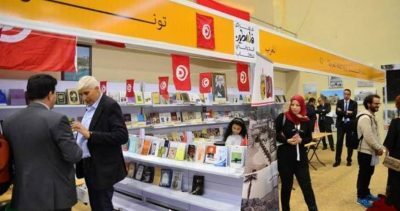 The association said that the Palestinian Authority has always submitted entry permits for publishers to Israeli occupation authorities to attend the periodical book fair and “have been always accepted except for this time”. “This measure makes part of an Israeli policy to destroy all attempts to build bridges with the Palestinian people,” the statement read. Describing the Israeli measure as an “aggression” on culture, history and humanity, JPA called on all concerned parties to intervene and pressurize the Israeli occupation to lift its ban on cross-cultural exchange with the Palestinian people and grant Arab publishers the necessary permits.